Spring has sprung, and that means Summer's not too far away. So now's the time to start thinking about destinations for your summer holiday. Will it be a sun-baked family holiday with sea and sangria, a luxurious couple-cruise drifting through exclusive resorts, or something else entirely? The world's getting smaller and holidays are no longer limited to a week away on a bracing sea front with the world and his wife. There's a whole host of options to suit every budget and every age, from activity, or cruise holidays, to city breaks, beach resorts, or if you really want it, a staycation here in the UK. Maybe it's a special occasion, a memorable birthday, or an all-out family get together in the sun. It might be to escape the pressures of work, kids or just life itself. Whatever your reasons for going on holiday, we all need a good, relaxing break from time to time. And anything from a long weekend to a couple of weeks away from it all can work wonders. But everyone's opinion of what makes a good holiday is as different as chalk and cheese. Lying on a sun-drenched beach with nothing but a book for company may suit some, while an active cycling holiday covering 100 miles a day could be another's dream come true. But neither of them would suit a city-loving culture vulture. None of them are wrong - they're just different. So what's hot and what's not in the world of holidays? In 2017, the Association of British Travel Agents (ABTA) conducted a leisure and tourism consumer trends survey to find out. The results gave a representative sample of some 2,000 consumers across the country, relating to holiday habits in the 12 months leading up to August 2017. According to the report, city breaks are our favourite type of getaway. 53% of the 2,000 people involved had taken one or planned to take one in the next 12 months. The good old beach holiday abroad came in second, with 41% opting for a sunny break. Coming in third were UK countryside breaks with 25%. So even with people going for the cultural city break option in the number one spot, there's still a huge appetite for a relaxing holiday, either at home or abroad. Other holiday options that fared less well included all-inclusive holidays (17%), activity holidays (7%), and cruises (7%). Even the humble coach trip has increased in popularity and creeps into the top 10 by just 6%. Sticking with the same ABTA research, it shows that city breaks, beach holidays, and countryside retreats look set to keep their positions at the top of the pile of 2018's most preferred holidays. And despite the complete uncertainty and instability of Brexit, the economy, and what it could all mean for holidaymakers, 63% of all respondents are committed to holidaying in Europe in 2018. And people are generally planning on spending more on their holidays too. 31% of people said as much, compared to just 24% when asked the same question in 2016. Just 14% intend to spend less than before, while 47% of respondents suggested they'd spend 'about the same'. So where are the most likely destinations? We've seen that 63% of people will visit Europe this year, but 66% of people will be taking advantage of what the UK has to offer by staying on these shores for a staycation. So could your 2018 summer holiday(s) include anything on the ABTA research results table? A fast-paced cultural city break? A relaxing, sun-soaked beach holiday? Or a calming countryside break in some of the UK's amazing landscapes? For the culture vulture, a city break to Europe feels like the best of both worlds. You get to fly abroad and take advantage of some much-needed sun, but without the boredom of a beach holiday. And even though the UK can't guarantee the sun, there are still amazing city break destinations to explore. Typically 3 or 4 days long, the other benefit to a city break is that you might be able to squeeze two or three in across the year by having some long weekends. And the choice is vast. All major European cities, and some of the smaller ones too, are totally geared up for short stay visitors, with dozens of hotels to choose from and easy to use public transport to get about. Perfect for any couples looking for a romantic anniversary escape, or just to explore the art, museums, and culture, discovering the best of Europe along the way. When a quick getaway is on the cards without too much planning, then a city break could be for you. Top destinations for 2018 include London, Rome, Venice, Barcelona, and Amsterdam - but will you have time to fit everything in? One of the all time favourite types of holiday. Jetting off for one or two weeks in the sun is what many of us Brits need after six months of hard work and very little sun. The package holiday has been popular since the 1960s, with Spain being the top destination for sun worshippers. In that respect, not much has changed, and the Med is serving some of the best beach holiday destinations around. Whether you opt for one week, 10 days, or a full fortnight away, the Mediterranean has plenty of sun and choice on offer. From the all-inclusive, entertainment-heavy, resort holiday magnets dotted along the Spanish southern coast in Benidorm, Alicante, and Marbella, to the islands of Lanzarote, Gran Canaria, and Tenerife further south in the Canaries. But there's plenty of beach holiday choice in quieter areas too, with many coming under the 'holidaymaker' radar. So whatever purpose your beach holiday is for, a couple's break, a family resort stay, or a full, multi-generation, family get together to celebrate a special anniversary, you can't go wrong with the guaranteed sun of a beach holiday. With the £GBP coming off worse against both the €Euro and the $USD the UK staycation is a real contender for people this year. More and more of us are choosing to stay home instead of flying off abroad, and the trend for UK staycations is set to grow. And though UK city breaks are taking a large slice of the staycation pie, the rural escape is becoming more and more popular. With so many destinations to choose from, the chance to recharge your batteries and connect with nature in some of the UK's most stunning countryside scenery is overwhelming. From the wilds of Dartmoor in Devon, to the Cotswolds, the Peak District, the Lake District, and beyond up into the Scottish Highlands, and everything in between. So if exhilarating country walks, the attraction of rural accommodation with hearty food and a pint, and relaxing evenings in front of an open fire appeal to you, then the UK has a lot to offer. Some of the most popular destinations for a countryside break in 2018 include Pembrokeshire, Guernsey, the Isle of Skye, Dorset, and Cornwall. With so much choice for any kind of holiday, part of the fun is choosing where to go. But one of the headaches can be how you're going to afford it. And with a family, things can start to get a bit pricey. Everyone deserves some kind of holiday at least once a year, but when you're on a tight budget, even the cheapest of holiday deals can seem out of reach. One way to get a cash boost and a head start on your holiday savings fund is to withdraw the cash from your car with a logbook loan from Car Cash Point. Using any car you own as security against the loan, you could borrow any amount from £500 up to £100,000 - all you need to get you started is your V5 logbook. 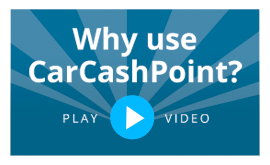 With no hidden charges or fees, and a really fair rate of interest on each loan (often less than half that of some other logbook loan lenders) Car Cash Point can offer you a reasonable, low cost loan - even if you have a poor credit rating. That's because we're the only national logbook loan lender who doesn't do any credit checks, so you should still be able to get a loan to help you. There are no penalties for wanting to end your loan early if you want to, and no penalties for making overpayments, and the interest is reduced on your remaining balance every time you do. There's even a range of flexible repayment terms that will fit the way you receive your own income too. Money might be right now, but a low-cost logbook loan from Car Cash Point could give you the helping hand you need to make 2018 the year of the holiday of a lifetime - wherever you want to go. Call our expert advisors today on 0370 218 6892.